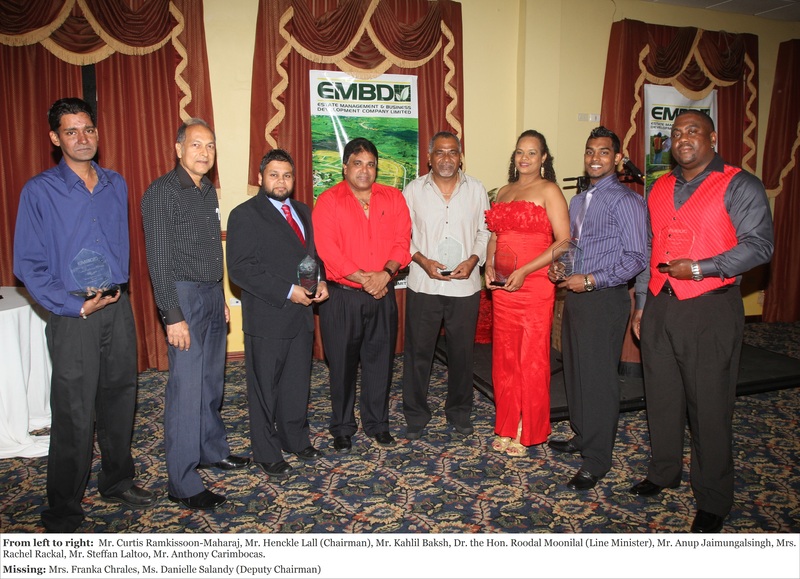 The EMBD wishes to congratulate seven of its employees for having served the company for more than five years. They were congratulated by the company's line Minister, Dr. the Hon. Roodal Moonilal, Chairman Mr. Henckle Lall and Deputy Chairman Ms. Danielle Salandy at the company's Christmas function held on Friday 20th December, 2013. 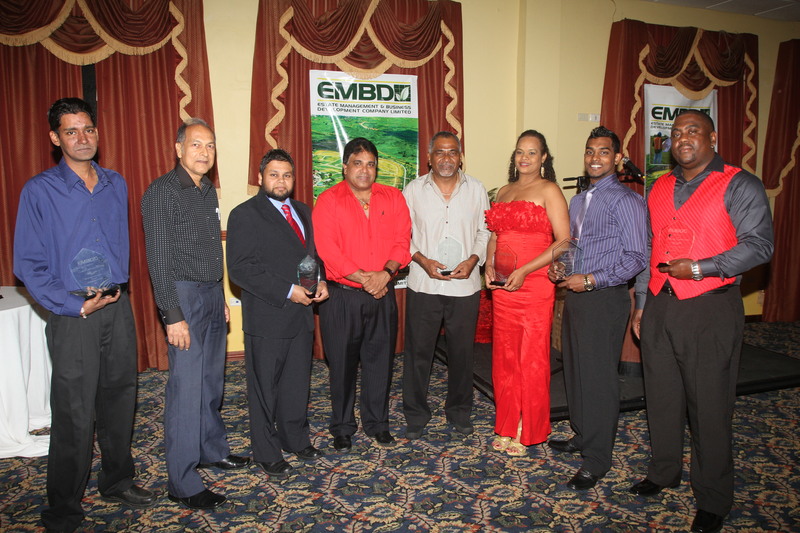 EMBD would like to thank each of these employees for their commitment and dedication towards its overall growth. This entry was posted on Monday, December 23rd, 2013 at 8:00 am and is filed under EMBD News. You can follow any responses to this entry through the RSS 2.0 feed. You can leave a response, or trackback from your own site.